Avis HJ, Vissers MN, Stein EA et al. A systematic review and meta-analysis of statin therapy in children with familial hypercholesterolemia. 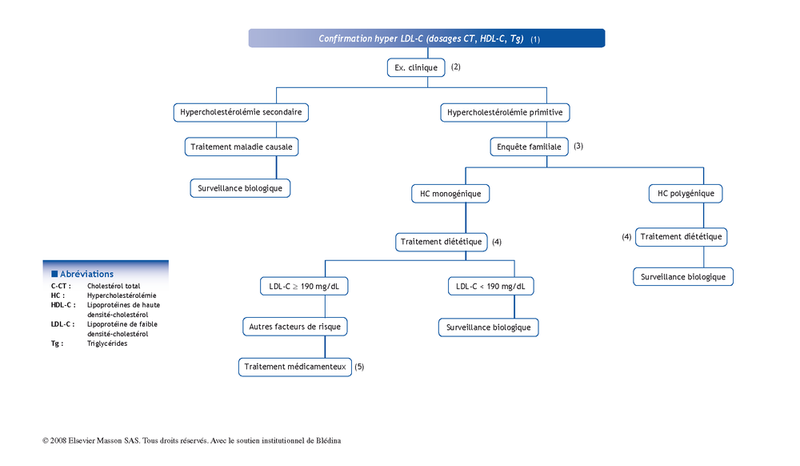 Arterioscler Thromb Vasc Biol 2007;27: 1803-10. Girardet J.Ph. Prise en charge des hypercholestérolémies de l’enfant. Arch Pediatr 2006;13:104-10. McCrindle BW, Urbina EM, Dennison BA, et al. Drug therapy of high-risk lipid abnormalities in children and adolescents. A scientific statement from the American Heart Association, Atherosclerosis Hypertension and Obesity in Youth Committee, Council of Cardiovascular Disease in the Young, with the Council on Cardiovascular Nursing. Circulation 2007;115:1948-67. National Cholesterol Education Program. Report of the expert panel on blood cholesterol levels in children and adolescents. Pediatrics 1992;89:525-84.